Ketchikan is a city in the Ketchikan Gateway Borough, Alaska, United States, the south-easternmost city in Alaska. With a population at the 2010 census of 8,050, it is the fifth-most populous city in the state, and tenth-most populous community when census-designated places are included. 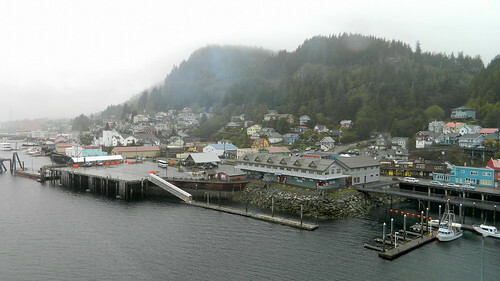 Ketchikan is named after Ketchikan Creek, which flows through the town, emptying into the Tongass Narrows a short distance southeast of its downtown. "Ketchikan" comes from the Tlingit name for the creek, Kitschk-hin, the meaning of which is unclear.